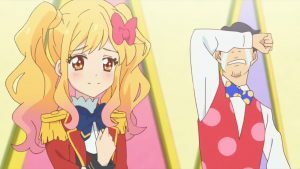 This was the episode Yume is supposed to shine the most and become the ichibanboshi but I can’t help feeling a bit disappointed in this episode overall. 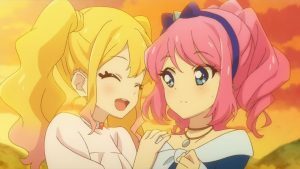 Yume finally unleashed her power and got Sun Dress and got her deserved win against Elza. 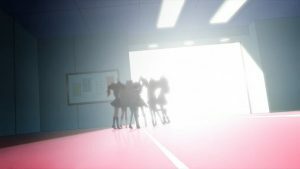 The tomodachi build up before that was really heart warming. 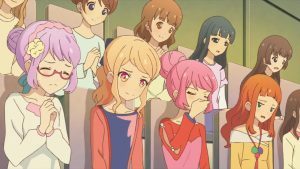 The animation for this episode is generally better than usual episodes highlighting the emotions and reaction faces better. 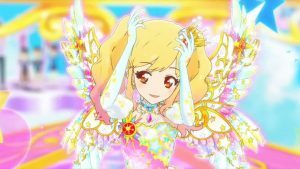 Yume’s 3DCG performance and Sun Dress reveal was disappointing. 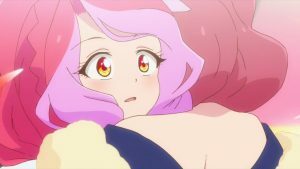 We were mostly expecting the Sun Dress transformation happening at the highest point of the flight, but that didn’t happen. 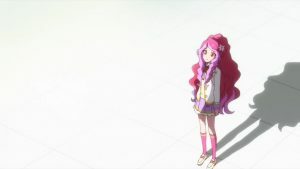 Her Sun Dress transformation was just too fast, too underwhelming. 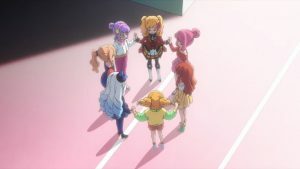 Until someone pointed out to me that the aura burst during the Sun Dress transformation was supposed to contain elements from her friends, I wouldn’t have noticed that. 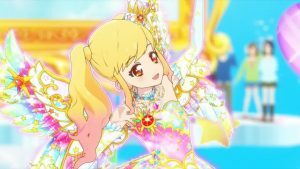 And the part after that has the same bad camera angles plaguing most Stars 3DCG performance. 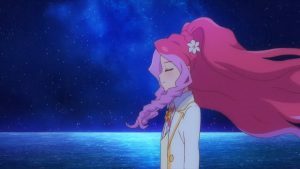 I believe Elza deserved a closure from her mothercon stuff but overall this is still feel forced for me. 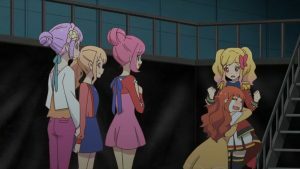 Elza and her mum are just too oblivious all these years, until Rei/Kirara/Aria basically forcefully have them together for this stage. 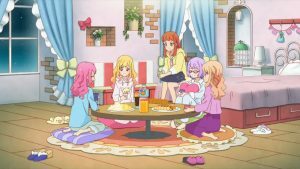 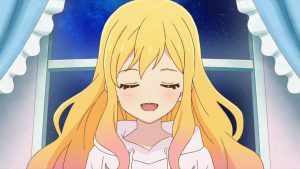 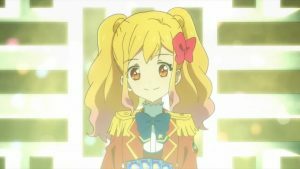 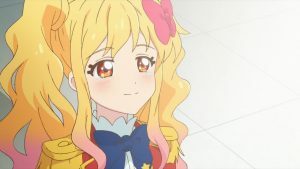 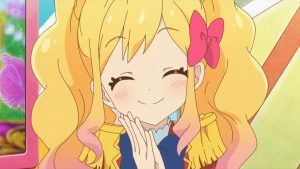 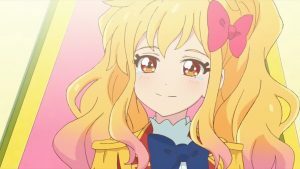 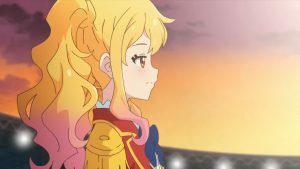 There are still 4 more episodes for Aikatsu Stars now before start of Aikatsu Friends, and I don’t feel it for the remaining episodes. 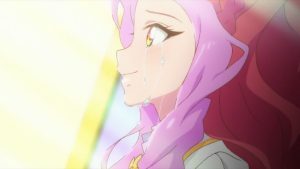 I really want Bamco to surprise me enough for the finale. 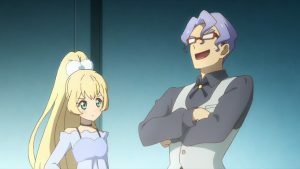 I thought Pakkun would really be the end boss of some kind for the end of this season, which I expected to be anticlimatic. 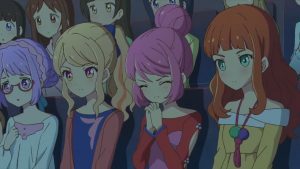 But boy this episode just hit me hard in the kokoro for Laala’s involvement in this episode. 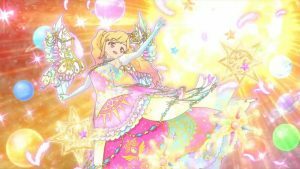 It’s no secret that my favourite idol in whole Pripara is Laala. 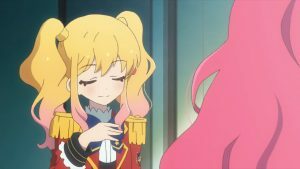 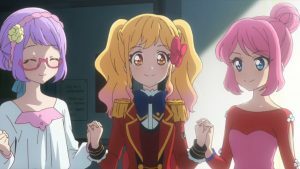 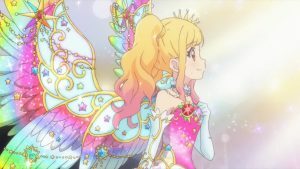 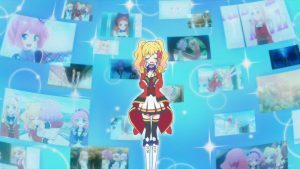 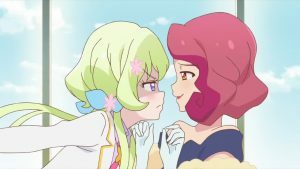 The way she protects Yui, her dreams of a grown up Laala, the song “Make It’, the way she screams “Minna Tomodachi Minna Aidoru”, everything is just right to push the tension of this episode to the max. 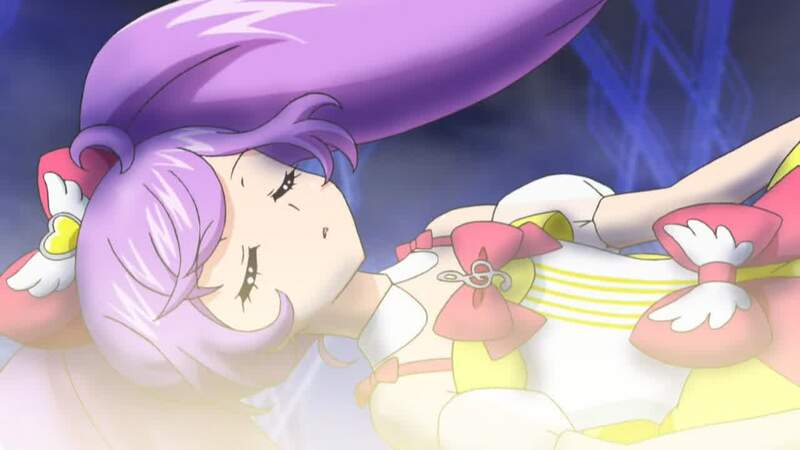 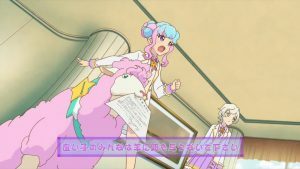 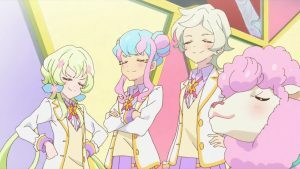 Now as Laala fell asleep this episode, to payback Laala for saving everyone in the past three seasons, now everyone needs to give their best to awaken her now. 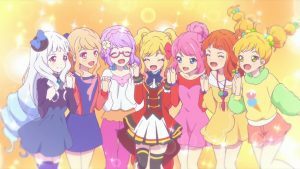 Now I can really hope for an epic ending for Idoltime now.